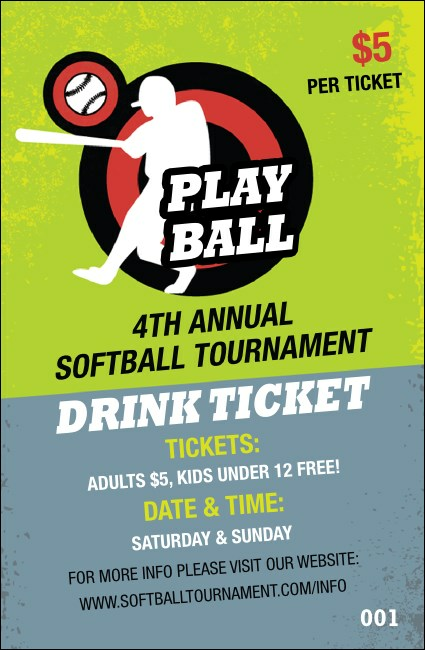 Put the ball in the strike zone for the fans when you sell Softball Drink Tickets at your next softball tournament. These colorful tickets feature a light green and blue-gray background, and include the white image of a softball player on a red and black bull’s eye who’s just hit the ball out of the park. Keep the game interesting for your fans with Drink Tickets from TicketPrinting.com.